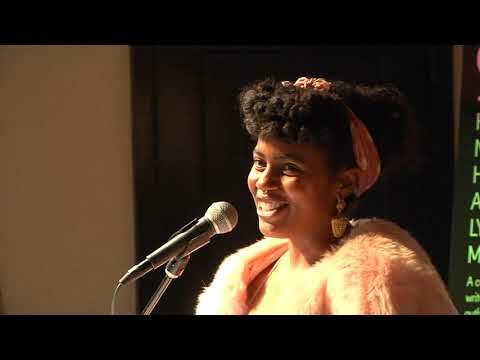 Akwaeke Emezi is an Igbo and Tamil writer and artist based in liminal spaces. Born and raised in Nigeria, Emezi received an MPA from New York University and was awarded a 2015 Miles Morland Writing Scholarship. Carmen Maria Machado’s fiction and nonfiction have appeared in The New Yorker, Granta, NPR, Guernica, Electric Literature, Gulf Coast, Tin House, Best American Science Fiction and Fantasy, The Best Horror of the Year, Year’s Best Weird Fiction, and Best Women’s Erotica. Her short story “The Husband Stitch” was nominated for the Shirley Jackson and Nebula Awards, awarded a Pushcart Prize Special Mention, and longlisted for the James Tiptree, Jr. Literary Award. She holds an MFA from the Iowa Writers’ Workshop and has been awarded fellowships and residencies from the Copernicus Society of America, the Elizabeth George Foundation, the CINTAS Foundation, the Speculative Literature Foundation, the University of Iowa, Yaddo, Hedgebrook, and the Millay Colony for the Arts. She is the artist in residence at the University of Pennsylvania, and lives in Philadelphia with her wife. Akwaeke Emezi is an Igbo and Tamil writer and artist based in liminal spaces. Born and raised in Nigeria, Emezi received an MPA from New York University and was awarded a 2015 Miles Morland Writing Scholarship. Emezi won the 2017 Commonwealth Short Story Prize for Africa, and their work has been published in various literary magazines, including Granta. Freshwater is their debut novel.